We offer a wide range of teaching styles and classes so there really is something to suit everyone, so come along, say Hello and give us a try. Designed for total beginners and anyone wanting to revise the fundamentals, get back into their Pilates practice or work towards an intermediate level, this class will give you a strong foundation in your Pilates practice. A fun, challenging, faster-paced and flowing Pilates class for those who know the fundamentals of Pilates, including core activation, stabilisation, proper form and alignment. In it you will apply these fundamentals to your practice and work toward the more challenging Pilates exercises. This class is not for anyone completely new to Pilates or with severe injuries. A general level Pilates class, suitable for all levels and abilities including newbies. Each teacher brings their own unique style to their class, all aiming to improve strength, flexibility and stamina as well as establishing ideal movement patterns. Various level options are offered, so you can choose your own level of challenge as we flow from one exercise to the next. This class isn’t recommended for those with serious injuries and new to Pilates. It’s more important than ever to keep mobile and active as we get older. Pilates is a gentle, low impact form of exercise that can be taken up at any age – Joseph Pilates practiced his method well into his 80s! 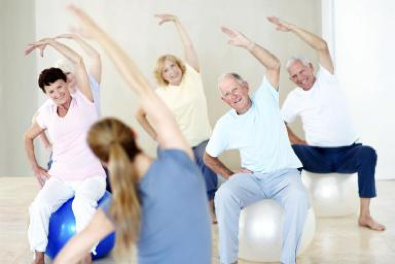 Pilates is an excellent way to maintain flexibility, strength and muscle tone and help alleviate a variety of age related conditions. Join Mary for this special class designed for men and women who are 60+. Our Sunday 10am class is Prenatal class which also welcome non-pregnant participants (we have lovely men in this group as well!). Increase your body awareness, strengthen abs and pelvic floor muscles to prepare your body for a smooth pregnancy and birth, strengthen the upper body, gain invaluable relaxation and breathing skills and lay the foundations to help you re-gain your pre-pregnancy figure. Join Gloria to make this special time an empowering journey in mind and body. Please note that all of our group classes operate with a strict 12 hour cancellation policy. Lessons are offered in the client’s home or place of work. Lessons taken at The Rooms Above incur an extra £20 fee.